Three years ago, SpaceX founder and CEO Elon Musk unveiled a project that would work to build the world’s first global internet satellite network. If reports and tweets on the matter are correct, the company’s Starlink network will launch its first prototype global internet satellites into orbit on February 17. The Microsat 2a and 2b satellites will reportedly be included as secondary payloads on the company’s next Falcon 9 launch. SpaceX has not officially confirmed that the Starlink prototypes are on board; only that the launch will include a 1360 kg (3000 lb) radar observation satellite, called Paz, from the Spanish company hisdeSAT. SpaceX has been keeping Starlink development tightly under wraps thanks to stiff competition, most notably from OneWeb, which has a partnership with SpaceX rival Jeff Bezos of Blue Origin. OneWeb is expecting to launch the first of its test satellites later in 2018, with plans to begin preliminary operations in 2019. 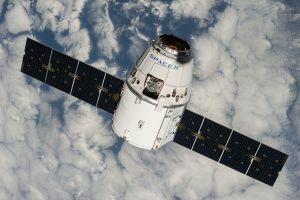 In previous filings with the FCC, Patricia Cooper, SpaceX’s vice president for satellite government affairs, explained that developing a satellite system is “highly proprietary and may take several years to finalize, during which time the operators hold details as highly confidential for obvious competitive reasons.” It is no surprise that SpaceX is continuing to play its Starlink cards so close to its chest. SpaceX has filed documents with the Federal Communications Commission (FCC) indicating that Starlink will have a number of ground stations, including the project’s headquarters in Redmond, Washington; a station in Brewster, Washington; and another at SpaceX’s headquarters in Hawthorne, California. Other facilities and ground stations will reportedly find their way to two spots in Texas and Tesla’s headquarters in Fremont, California. The race toward establishing the world’s first global internet network is likely going to heat up as details begin to become public. Internet connectivity has become an integral part of modern culture, to which far too many people in the world still do not have access. Such a network will be an important part of upgrading the world, and the first company to set it up could hold the upper hand. The Falcon Heavy Launched. Here’s What’s Next for SpaceX. The Falcon Heavy Just Launched Successfully. Next Stop, Mars.